L-R: Lauren Tunnicliffe of the British Business Bank, David Baker of Mercia, and Alaric Errington, Dr Jonathan Hibbard and Jon Kenyon-Smith of Solaris. 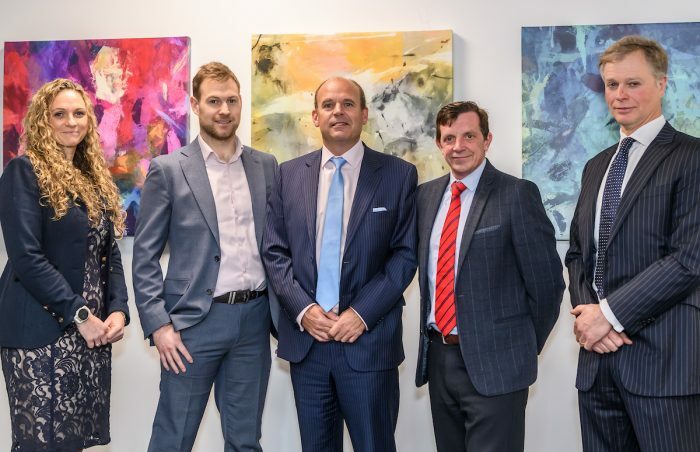 A company which has developed a glass coating that protects against the sun has set up its headquarters in Nottingham following a £250,000 investment from the MEIF Proof of Concept & Early Stage Fund, managed by Mercia and part of the Midlands Engine Investment Fund. Solaris Technology’s coating blocks unwanted solar heat gain and the sun’s damaging rays without reducing natural light. Founded in 2016, Solaris Technology is led by Managing Director Dr Jonathan Hibbard, the chemist who developed the technology, CEO Alaric Errington and Sales and Marketing Director Jon Kenyon-Smith. The investment will help the firm finalise global manufacturing and distribution agreements, also supporting the development of a sales and marketing strategy.